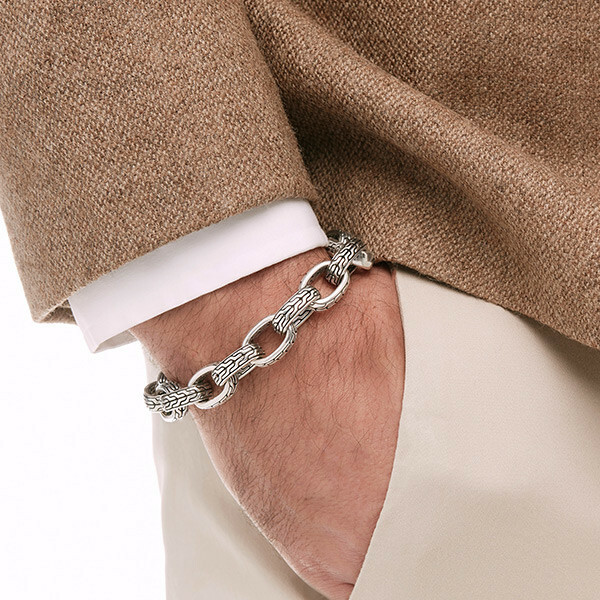 John Hardy's Classic Chain collection presents this magnificent bracelet. Large oval links are designed in sterling silver and hand carved with the classic chain motif. Even the clasp mimics a link to give this piece a natural flow. 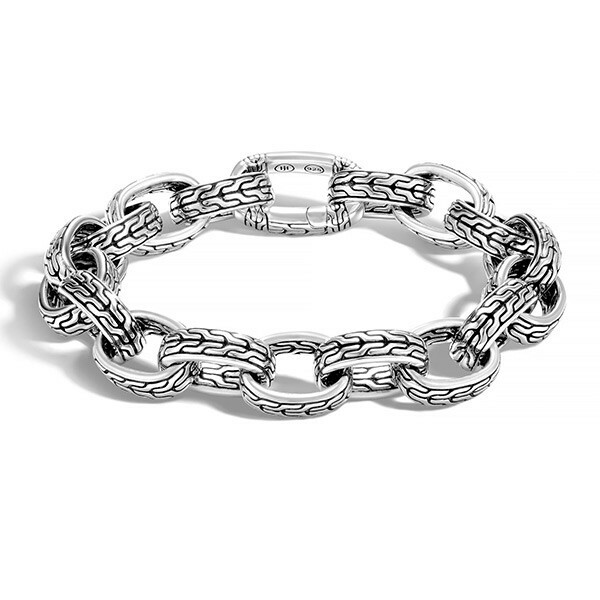 This John Hardy bracelet will look great on any man.